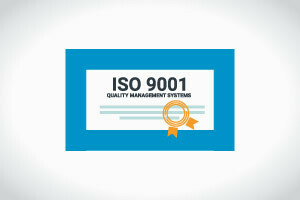 ISO 9001 is an international standard which shows organizations worldwide how to maintain Quality Management Systems. The standard was revised in September 2015 to incorporate some vital changes. This course clearly explains the changes to the standard and outlines the fundamental concepts of the standard to new learners. By taking this course, you will gain expertise which will make you a valuable asset for companies worldwide. To begin, the course will discuss the history of ISO 9001 Revisions as well as clarify and describe common misconceptions about this revision. It will also teach you how to examine and manage the context of an organization. You will learn about the Process Approach and Risk-Based Thinking as well as each phase of the Plan, Do, Check, and Act Cycle. You will also be shown how to recognize the importance of managing organizational knowledge and how it can be preserved. Next, you will learn how companies check their management system through internal audits and why top management should be involved in Management System through management reviews. You will also get the chance to compare what has changed from the previous version (ISO 9001:2008) to the new version (ISO 9001:2015) regarding management reviews. Soon, you will understand the complex quality management principles used in the standard with the help of simple examples and easy to use applications. This course will be of great help to industrial professionals looking to implement ISO 9001:2015. It will also help top and middle management to understand the new changes within the standard so that they can provide a strategic and tactical direction to their organization. Consultants who assist organizations in the implementation of the new revised standard version will also find this course helpful. So why wait? Start the course now and learn the essential elements of ISO 9001:2015 in no time. Discuss the history of ISO 9001 Revisions. Clarify and describe common misconceptions about revision. Examine and manage the context of an organization. Explain Process Approach and Risk Based Thinking. List each phase of the Plan, Do, Check and Act Cycle. Recognize the importance of managing organizational knowledge and how it can be preserved.